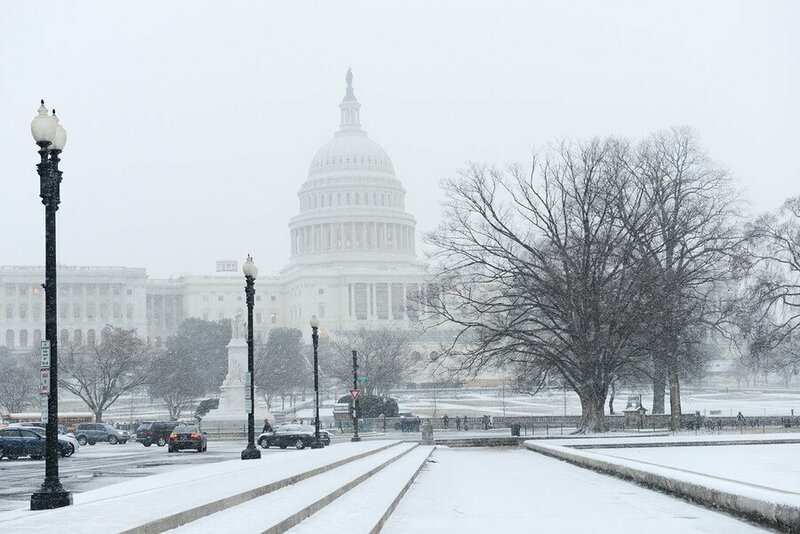 Why Is the DMV Predicted to Have a 'Warmer-Than-Average' Winter? Snow lovers may want to start planning a trip up north because the DMV is predicted to have lower-than-average snowfall this winter. According to The Old Farmer’s Almanac, updated “El Niño conditions” have caused the estimated temperatures to jump up for the DMV region this winter. These reports are not only limited to the DMV; the entire Atlantic Corridor (consisting of Connecticut, Delaware, District of Columbia, Maryland, Massachusetts, New Jersey, New York, Pennsylvania, Rhode Island, and Virginia) has a similar forecast. The El Niño conditions have been strengthening throughout the past couple of months, but what is an El Niño anyway? El Niño is a climate phenomenon characterized by a warming of waters in the eastern tropical Pacific. When this happens, it causes the typical characteristics of a season to effectively have the opposite effect. According to the International Research Institute for Climate and Society, El Niño conditions are “imminent.” They will arrive just in time for winter to rearrange the world’s weather, including bringing in a warmer-than-average winter for much of the U.S. It seems silly that water temperature in the Pacific Ocean can affect the easternmost states in the United States, but it shows how interconnected this planet is. Now obviously, the farther west you go, the more the climate seems to be affected by this weather condition. Washington state, Oregon, Hawaii, Alaska, and California have the highest chance of increased temperatures and decreased precipitation. 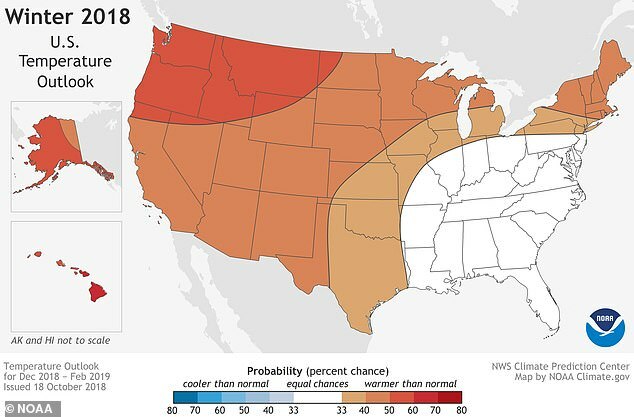 The southeast portion of the country will see the opposite effect from the El Niño this winter, maintaining their higher-than-average expected levels of rainfall. Even the DMV could see higher rain totals this winter, because of the raised temperatures, but it will be too warm for snow to fall. Now if you’re like me, I am totally fine with a milder winter even with a little bit more rain! 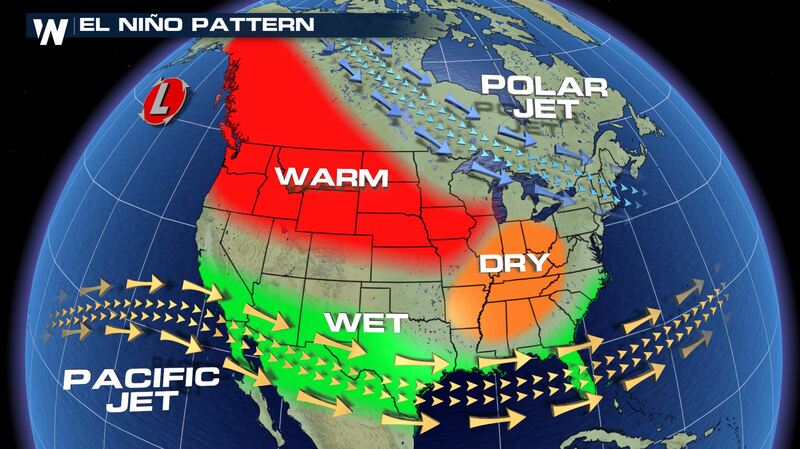 If this El Niño continues through spring, our April and May could be milder and drier as well. How do you feel about a warmer, less snow-filled winter here? Would you prefer to get more or less snow in the winter months? Either way, these are only predictions -- so we will have to wait and see what happens! It never hurts to be too prepared. Here's how to pick the perfect winter coat!